‘Normal life’ is truly beautiful. Every day I love it. I like walking into a room and just being a ‘normal’ person. Yes, I have always presented myself socially through my hair, beard or clothes as a slightly odd dude, but that has always been in a spectrum of ‘strangeness’ that people can recognize or talk about with their own opinions or references. Six years ago, my obvious and fun social dynamics changed drastically. It was truly mind-boggling to constantly see how people’s faces changed radically while I was narrating, in the calmest way I could, the oncological statistics of my own life. I was aware that using the word ‘death’ would bring sadness, but as my voice came out of my mouth their character, their face, the eyebrows and the rhythm of their breath just astonished me. To make it even worse, once I had put out that basic piece of information people seemed so saddened that they couldn’t even hide or break the surrounding atmosphere by walking away or picking up their phone. What could they say? What could they have asked? There was no doubt that I was the one who had the responsibility to somehow take them out of that space. 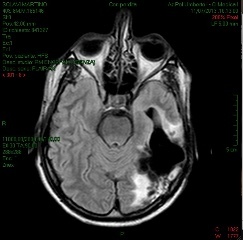 My first attempt to break that sensation, to get friends, relatives or random people back into a ‘normal’ reality, was to pull out my IPod and show them the image of my last MRI – so that we could perhaps think about having a laugh at the fact that the big hole in the left side of my brain did look like a bird. While for about 25% of the people that trick did work, I had to come up with something for the remaining 75% of the audience. Sadly, I never really found any visual or verbal narratives that worked, and so to the damage of my marital relationship I used my – ‘I am tired’ card – and just stayed home. As I had forced the lives of every single member of my extended family to change, I had to find a way to manage my own guilt. It wasn’t really ‘my fault’ but all these people’s lives were wrecked on so many levels- physical, emotional and economic. I spent some time with a therapist, but I actually realized that the people around me needed to share their drama more than me. It might be strange but actually, often the family members need more support to embrace the changes than the ill person themselves. Along the way I had ran into a few people, partners or family members, who by joining support networks and sharing their stories managed to pull themselves up. I guess that we, the ‘ill’ people, just have to find our own paths to stay optimistic and distract ourselves from the oncological narrative. Ultimately, it was only that 25% of people who allowed me to talk about my thoughts and my projects. These friends aren’t any ‘better’ than anyone else, they are just able to put their strong emotions aside and embrace my new reality – my explorations of strange philosophy, a new, darker, sense of humor, my impulse to badly re-stich and sow my old trousers and jackets and my new relationship with my computer. I had been writing nonfiction and fiction all my life and my fingers knew automatically where to go even if my sick brain could not read it back. 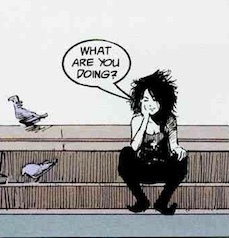 So I very often took rescue there with Alex, the computer voice that read back to me all the misspelled words and never complained about my need to explore adventures with Neil Gaiman’s character Death. I understand that we live in a world extensively based on being able to read. However, I only realized how reading is actually an extremely complex operation when I woke up in an Italian hospital, after a surgery to my brain to save my life. Yes, I still can’t recognize any word I have just written on this Blog, but considering that I am still alive and typing away when by all Oncological statistical accounts I should not be, I have had some longer amount of time to discover the nature of this particularly popular skill – which I no longer have. If I had received a contract saying “by cutting away your capability of reading, we’ll offer you a longer life span” I would have definitely signed that contract, as I believed that relearning to read would be “a kid’s game”. Sadly, it hasn’t been as simple as that. It’s five years now and I still need Alex, the computer voice, to read back what I have just typed. While reading the first two paragraphs of this Blog you also did not really think of all the work your brain was doing for you. So, during this little pause, let’s try to imagine how the school teachers have the gigantic task of showing their distracted students how a sequence of letters becomes a word. During the first few years they must invent ways to allow their students to stretch their brain in a myriad of different directions to speak out each word – each sequence of text. And on top of all of that, they have to stay flexible while confronting our multi cultural society as each person goes through a slightly different process while reading. (If I will remember, in a different Blog post I’ll talk about why it makes sense that in this moment in history prisons are full of dyslexics). With a lot of meditation, I have accepted that we must embrace complexity with calm if we want to understand all the different and essential stuff that each cerebral lobe does. For example, here is the part that I actually remember of my problem with reading. 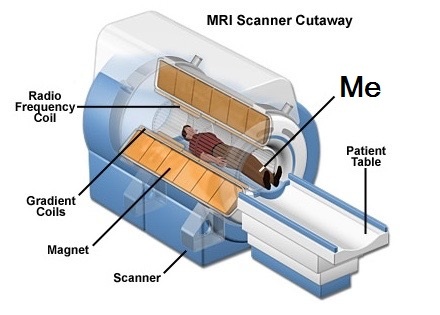 1) In the left temporal side of my brain (where I have a large hole) the words are usually connected with their significance. 2) The hole in the left side of my brain actually means that I have a reduction of the visual field on my right eye, and which means that the part in the back of the brain -that is called the occipital lobe- now has a hard time visually interpreting the letters. 3) By not being able to see the whole range of text the meanings of words are often confused. To be sincere, a good part of The Finch in My Brain will always remain surreal for me as it will remind me of my love and hate relationship with text. But, generally, I am learning to appreciate the complexity of all parts of our body, our social and environmental relations and particularly the energy and love of the fantastically magic and underpaid elementary school teachers. One thousand word article about my little sun helping me deal with my new realism (or is it reality) after brain surgery. “Thank you. That’s what he was. There was a young little dog who could always be found wondering the streets of the big city. He would look around, discover some left over food and occasionally even find some fantastic bits. One day, he saw that a a gaggle of similar creatures were following their mother, and did feel a bit sad, but then he spotted a piece of tomato, right there on top of all the other trash of the Pizza shop, he gladly distracted himself. “Yes. Exactly it was a big, half blind old Miao, miao, who is in no way afraid of anyone else”. “No. Not really but do be careful, as… it’s ‘fragile’”. How could I talk to my three year old sun about what had happened. How could my boy deal with the complexity of a very aggressive type of brain cancer, when even I was not completely clear of what doctors and statistics were telling me. I couldn’t tell my sun “don’t worry, everything is fine”, because it wasn’t. In fact, it was him, and his imaginative attitude towards life that really did rescue me from the bleakness of reality. I guess that the tale about a little dog and an old cat has already elucidated, to you reader, how my sun and I have developed a new lexicon to confront some of my amazing new handicaps. In fact, my issues with a very bad short term memory, not having any recollection of the names of people, vegetables, most animals, colors and streets have now all become parts of our private adventures while walking towards school. Without too much philosophizing, I realized that while hanging out with Miro, my various new handicaps have to always become superpowers. One of the handicaps that was particularly curious for him from the beginning was my lack of reading. While up to that moment Doctor Seuss stories had aided me in my pursuit of raising my sun as native English speaker while living in Italy, Miro did not care, he just knew that when daddy laid down next to him with those books, usually rhymes would start coming out. But sadly now, when daddy attempted to read him those stories, his brain did not like them here or there, it did not like them anywhere. He would not, could not with his eyes, not with glasses or even bright light. And so, very quickly we discovered that inventing good night tales of young and old animals, was a great source for our good night stories. In fact, he often seams to follow these bespoke tales even more than the ones printed on illustrated pages. A few weeks after I had come back home, Miro, without any particular change of presentation started to ask me about the lovely doctors who had taken away the ‘bad stuff’ from my head, and just a few minutes into my story, as he looked intensely in my eyes, he touched my head and exactly in the same earnestness said, “ I am going to take care of my trains now. We’ll continue this at some other time.” And, just a few steps away started with “Brum… Brumm… “. As a three year old his attention span for such discussions was four to five minutes maximum so, I too could feel satisfied with that information and move on to contemplate other things like what we were going to eat for dinner. He had no problem accepting that Dad now had to take at least two naps during the day, and so when he would go into his fantasy world of trains and Legos, he would now fantastically remember to keep the “Bum, bum..” to a lower level of intensity. I am not sure, but he really does not seem afraid of death. He enjoys becoming every kind of character, even the really bad ones, and he has always allowed me to follow him in his transformations of reality. Then last night he asked me to continue the story of the night before. Aware of my bad memory he quickly narrated to me the basic story turns and the details of the two central characters, he even told me that they were called Tom and Jack (which I completely did not remember). Nevertheless, so continues that story of the old cat, who, while believing that he is teaching that young dog new tricks, is actually learning how to view his own history differently. 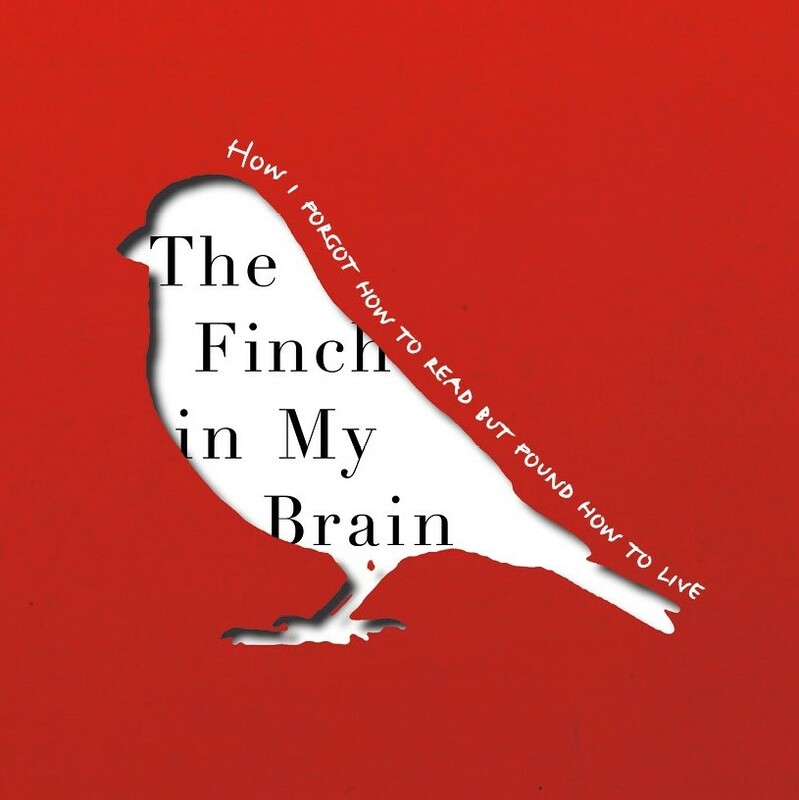 Welcome to Martino’s blog about his book The Finch in My Brain.